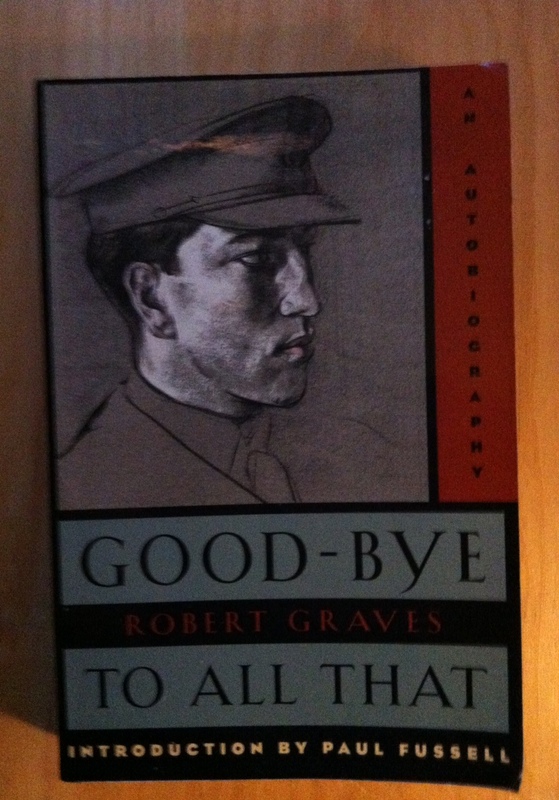 Graves is also justly famous for his only autobiography, 1929’s Goodbye to All That, considered by many to be the best memoir that came out of the war. It is, by turns, wry (, dramatic, darkly funny, and elegiac. It’s absolutely worth reading, and I heartily commend it to your attention. Graves’s poetry about the war is not as well-known as Sassoon’s or Owen’s, but it too rings with the depth of feeling only born out of horrendous experience. In “Recalling War,” Graves borrows Homer’s knack for comparing the brutal business of war to those events common to homely life; in Graves’s poem, the speaker remembers the guns “Nibbling the walls of factory and church / Like a child, piecrust; felling groves of trees / Like a child, dandelions with a switch!” In these lines, Graves reminds us that nothing — church, work, nature itself — remains untouched by war. You can read the full poem at The Legacy Project. I like that last line especially. Yes, I, Claudius is great! I would like to read his memoir. And, are you recommending that we watch I, Claudius rather read it, or both? I haven’t done either. Well, both. But (I can’t believe I’m saying this) — maybe watch the miniseries first. I’ve only read pieces of it, but I loved what I read.